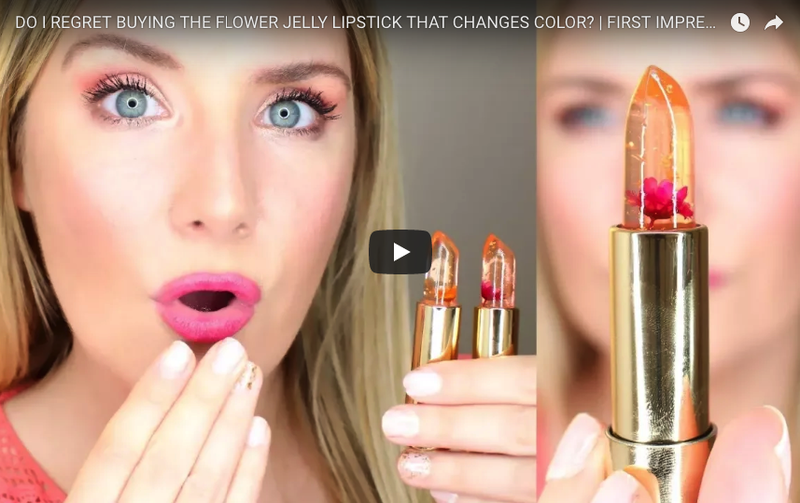 TheInsideOutBeauty - Beauty & Lifestyle Blog: DO I REGRET BUYING THE FLOWER JELLY LIPSTICK THAT CHANGES COLOR? DO I REGRET BUYING THE FLOWER JELLY LIPSTICK THAT CHANGES COLOR? Today I'm trying out for the very first time the internet famous flower jelly lipstick. It's your fault! You guys requested me to give this weird (or unique?) product a go. ...And when I read it was a lipstick that changed colour, I must confess I was instantly intrigued! I just really, really needed to see it for myself! 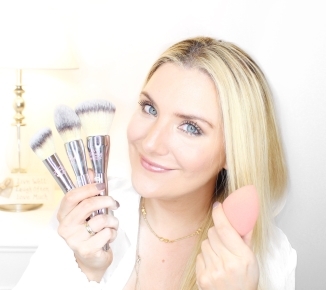 Find out all pros and cons as I try out this product for the very first time in today's video. (Sorry, I couldn't find the exact same brand that I tried myself. I hear this one is even better though). If you enjoy my videos, make sure you SUBSCRIBE to my channel for you ones coming up. SPONSORS KEEP THE THINGS WE ❤ ALIVE! Hey, I'm Heidi! I was born in Argentina in an Italian & German family and grew up in an English school. I'm married to my best friend and "mom" to an exotic short-hair cat, Lola. this through my blog professionally, responsibly and UNBIASED as a service to you all so that you know what's HOT and what's NOT in the beauty world. You may have met me before as a freelance Social Media Manager, Digital PR consultant, Ghost Writer or Web Project Manager. The internet is my favourite place! Now that you've found me, I'd be BEYOND grateful if you'd subscribe by e-mail and stick around because... the best is yet to come! Giving back makes us more beautiful INSIDE! 10% of any cents obtained through this channel or my blog are donated to charity. Copyright 2011-2015. TheInsideOutBeauty.com by Heidi. Simple theme. Powered by Blogger.